Now that school has started again, and with it a rush of after-school activities, I’ve been thinking about Amy Chua’s The Battle Hymn of the Tiger Mother. It garnered so much press over the last few years–The New York Times, The Wall Street Journal, The Atlantic Monthly, and even The Economist had something to say about this memoir. In case you missed the fervor, The Battle Hymn of the Tiger Mother is about how Amy Chua raises “real” children—not soft, pampered Western children. Her girls are never allowed to go on sleepovers, usually have to practice the piano for three or more hours a day, and are rarely praised. In fact, one time she decided to rip up the birthday cards her daughters had made for her; she felt they didn’t put enough thought and time into the making of the cards. After all, she reminds them, she spends lots of money and time on their birthday parties. This book touched a real nerve in American culture, especially with the granola eating, childwearing, attachment parenting set. Do we modern American parents cater too much to our children’s needs? Do they need more discipline and less explanation? Do they need higher standards and less emphasis on self-esteem? Do they need more manners and less technology? Probably. But that’s not the point. The chattering classes have quite a bit of privilege when it comes to this debate. The privilege comes from being able to debate how we are going to raise our children. 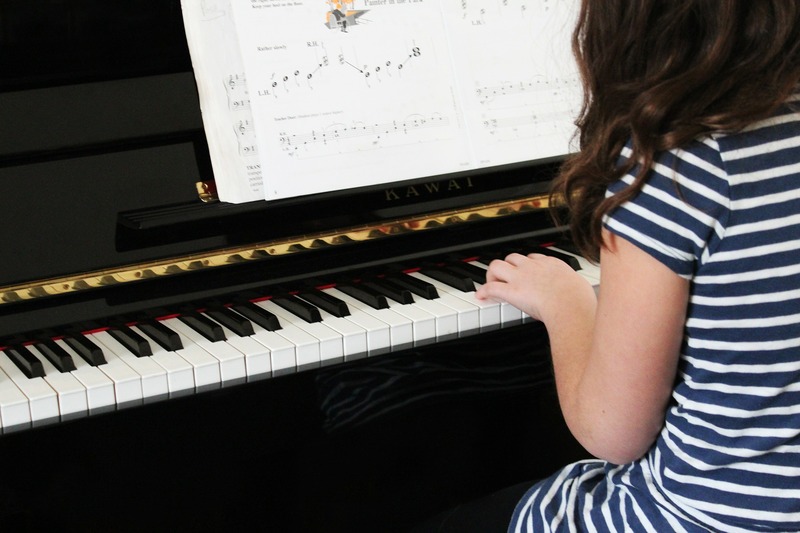 Many of us have the time and resources to argue about whether our children should be forced to play the piano or have the luxury of choosing their own instrument. As Christians, we approach child-raising differently. Choices about musical instruments and sleepovers don’t define us. The gift we give our children is this: we must help them discover their gifts and, ultimately, their vocation. That may seem awfully abstract, but it’s not. The less we schedule our children, the more time they have to discover what it is they feel called to be—not just do. Allowing them free time to play, or walk, or just hang out in their rooms, may create the space they need to discover who they are and who they are called to be. As Christians, we might try to show them a variety of ways to be faithful: to live into God’s world as a servant. Church is one of those unique places where our kids get to be with other adults outside of school. They get this incredible opportunity to see a diverse group of adults living into their vocations where they are not entirely segregated by age. Yes, finding a vocation does involve discipline—gentle discipline. It also involves a cultivation of virtue—patience, generosity, listening, sharing, and love. I’m certainly not against having more obedience in my children’s lives—in fact, if anyone knows how to get a 6-year old boy to comply the first time, please let me know. But, as I fight those real battles with my children, I hope we Christians might sing a different tune. I hope our discipline and structure is grounded not in a battle hymn, but rather in our hymn of praise: “Glory to God in the highest.” Because I do believe that if my children understand to whom they truly belong, lots of other pieces will slowly come into place. Raising children is a long-term exercise in humility and generosity. Thank goodness, we in the church community don’t have to go at it alone. God is with us, we are together, and though it may not be visible in every season, the victory is already won. Did you read The Battle Hymn of the Tiger Mother? How did it strike you? Love this so much! These days we feel a lot of pressure to do this or that, provide this opportunity or arrange that play date. I feel really fortunate to be able to take my children on a weekly basis to a place where I know they’ll be embraced by a loving community and taught valuable lessons by those around them.